Family Owned & Operated Since 1948. 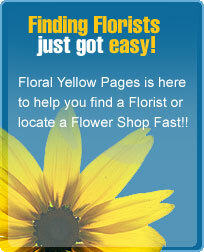 Finest Floral Arrangements & Gifts In Phoenix & Surrounding Areas. Full Service Florist & Arizona Gift Bskts. Contemporary & Traditional Designs. Call Today! Full service florist. Satisfaction guaranteed. Certified Arizona Master Florist on site. Family owned and operated. Specializing in unusual and high style custom designs. Fresh, silk, and dried flowers available. Something for everyone's taste and budget. Serving all hospitals and funeral homes. Full Service Florist. Satisfaction Guaranteed. Family owned and operated for over 24 years. Specializing in unique and custom designs. Something for everyones taste and budget. Serving all hospitals and funeral homes. Glendale's first flower shop! Family owned and operated. Professional full service florist. Flowers and gifts for all occasions and events. Our goal is to exceed our customers expectations with quality, care, and professional service. We deliver... LOVE Serving all hospitals and funeral homes.